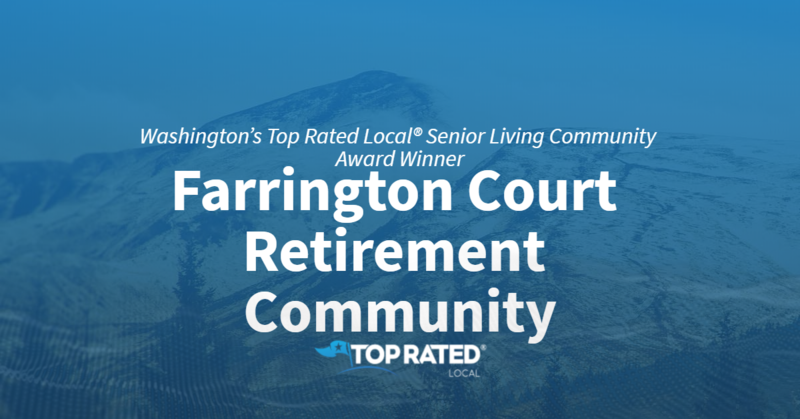 Top Rated Local® is pleased to announce that Farrington Court Retirement Community is a 2018 award winner! “My parents lived in Farrington Court for almost three years, and both said it was one of the best times of their lives. The staff, from the top down, has created a family atmosphere of support and acceptance. The family was welcome to visit anytime, and we became part of the Farrington Family. With increased service provided by staff, they were able to remain there until they passed, and that is what they wanted. We appreciate all the staff did in caring for my parents for the past three years”. -Debra S.
“My father recently moved to Farrington Court. He loves it there. The residents and staff have made him feel very welcome…[and] have been fantastic about keeping my sister and I informed on how he is doing. So much worry taken off our shoulders. The grounds and facility are beautiful, the activity list is packed full, [and] the food is delicious. Highly recommend this place”. -Kristi Z. These phenomenal reviews have led to an impressive 92.94 Rating Score™ for Farrington Court, making them one of the top three retirement communities in Washington, according to Top Rated Local. It’s safe to assume that any award-winning company has something that really sets them apart from their competitors. Farrington Court Retirement Community is no exception. That’s why we took some time to speak with the executive director, Marcia Byrd, to really figure out what Farrington Court does to stand out from the crowd. 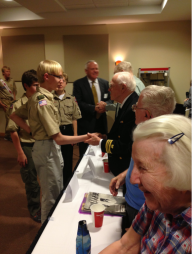 “Our company is built around a younger demographic. We have a really good understanding of who our clients are — the children of the parent who chose to live with us. That generation will always look to the internet, first and foremost, before making such an important decision. We know that we need to have a focus on putting our best foot forward online.” Marcia said this is the secret to Farrington Court’s success. They focus fully on making sure the whole family is taken care of. Congratulations to the team at Farrington Court Retirement Community for being a 2018 Top Rated Local award winner! 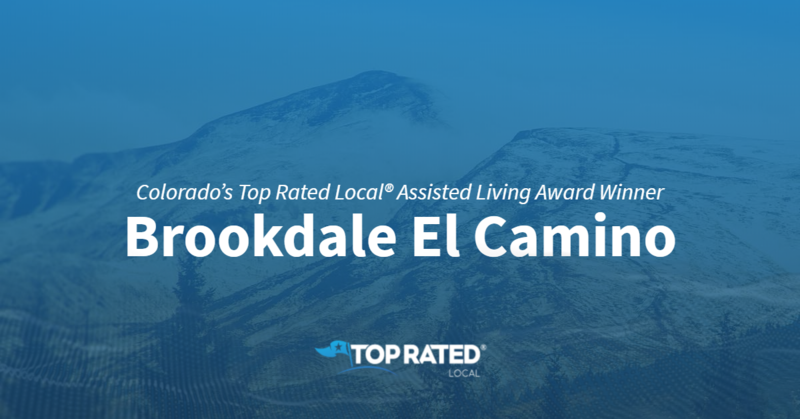 Top Rated Local® is pleased to announce that Brookdale El Camino is a 2018 award winner! “Grandma moved in a week ago. She loves it, and I love it! The staff and residents are so friendly and helpful!” -Jeanette G.
“Very caring staff, they love their residents [and] keep them busy with events. [They put the] residents first!” -Deborah M.
“Such a warm, loving, and bright community.”- Andrea T.
We spoke with Janella Sandavol, executive director of Brookdale El Camino, about her business’ phenomenal online reputation. She expressed to us that one of the things that sets them apart from the other assisted living facilities in the area is the fact that they’ve been in the same location in Pueblo for more than two decades. That provides a level of stability and community for the residents that other facilities simply cannot. That being said, life at Brookdale El Camino is certainly not boring. Not only does the team organize tons of events, including games and music (they even have their own choir), but they also organize trips to places like Las Vegas and various, local, natural areas. Speaking with Janella, we realized just how much she and her staff care about the people they serve. She says all the residents at Brookdale El Camino have amazing stories about their lives. Some of them have been to war, many of them have built families, and all of them have a unique perspective on the world. The Brookdale El Camino team strives to make residents’ lives the best they can be for the time they have left. As for marketing, Brookdale El Camino utilizes an in-house marketing team, as well as participates in a wide variety of community events and builds relationships all over Pueblo. Beyond their marketing efforts, how did this long-standing assisted living facility build up such a phenomenal online reputation? That became incredibly clear to us when we asked Janella what advice she had for other businesses, assisted livings and otherwise, on improving their online reputation. She said, “Provide great customer service, give it your all, enjoy what you do, and get more reviews.” It is obvious that the team at Brookdale El Camino truly cares for their residents, and that has shone through in the online reviews they’ve received. Congratulations to the team at Brookdale El Camino on being a 2018 Top Rated Local award winner! 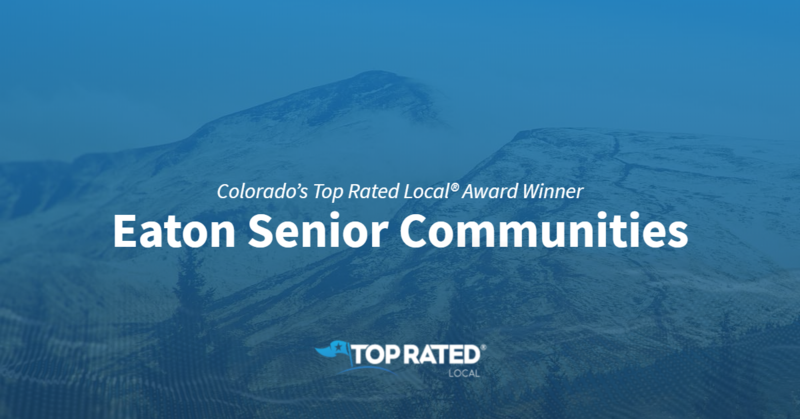 Top Rated Local® is pleased to announce that Eaton Senior Communities is a 2018 award winner in Colorado! If you’re looking for a vibrant, affordable senior living community for you or a loved one in Lakewood, look no further than Eaton Senior Communities. Eaton Senior Communities has earned dozens of online reviews with an average rating of 4.64 stars, a stellar Rating Score™ of 94.41 and a 2018 Top Rated Local award! The residents at Eaton Senior Communities enjoy a service-rich environment that’s also affordable — this alone makes Eaton Senior Communities a one-of-a-kind senior living community. Another thing that sets Eaton Senior Communities apart is their holistic approach to care. They look at the entire picture of overall wellness rather than just the individual pieces. Kate credits Eaton Senior Communities’ strong online reputation to the fact that they encourage their clients to leave online reviews by reaching out and asking for them. In addition to the growth they’ve seen by having a strong online reputation, Eaton Senior Communities gets their name out there by being active on social media, working with nonprofits and engaging in community partnerships. For example, they work with local buses to bring services to their residents and to spread the word about what they do and how their model works. Congratulations to the team at Eaton Senior Communities for being a 2018 Top Rated Local award winner, and thank you so much, Kate, for taking the time to speak with us! If you’re looking for a caring, compassionate senior living community for yourself or a loved one, we highly recommend Eaton Senior Communities. Visit their website today! Top Rated Local® is pleased to announce that, thanks to their irreproachable 96.00 Rating Score™, Silver Creek Assisted Living is a 2018 award winner in Arizona. For families and seniors looking for a beautiful assisted living community with a focus on maintaining independence, no other assisted living in Bullhead City can compare to Silver Creek Assisted Living. Lucille’s review is indicative of the care and home-like environment that Silver Creek Assisted Living provides for its residents and their families; it is truly unlike any other assisted living center. Silver Creek Assisted Living is privately owned, allowing them to make on-the-spot decisions for the sake of their residents rather than jumping through corporate hoops. 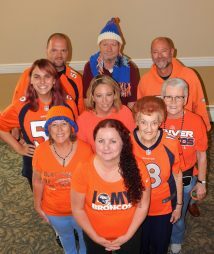 And unlike many other assisted living communities, Silver Creek has very little employee turnover, which means that their employees are able to get to know the residents better and do what’s necessary to meet their individual needs. There are so many social programs for residents to get involved in at Silver Creek, from Bingo and Poker to group spelling bees and crossword puzzles. They also offer plenty of opportunities for residents to get out and enjoy the community. They go shopping twice a week, and there’s a restaurant club that goes out once a month. 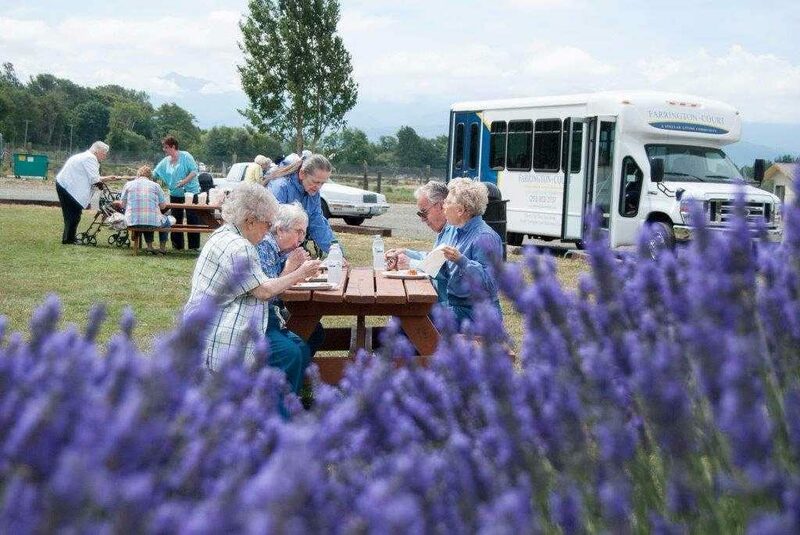 The residents at Silver Creek want what we all want — good food and entertainment — and luckily, Silver Creek has the resources necessary to meet those needs. In fact, Silver Creek used to be a restaurant before it was converted into an assisted living community, and their high standards for the food they serve has not changed! When asked what their strategy is for growing their business, Renee says that they do some advertising but not much. She credits her staff and the care that everyone, from the nurses to the kitchen staff, provides for their strong online reputation. In addition to online reviews, Silver Creek has been around for more 20 years — they were the first assisted living outside of Phoenix — and word-of-mouth referrals from local doctors’ offices, as well as from residents and their families, are huge for them. Their website is another vastly important piece of their growth strategy, and they work with a company that manages their website and Facebook page. When asked what advice she would like to give other companies that are struggling to build their online reputation and grow their business, Renee says that building a strong staff has been key to Silver Creek’s success because it ensures that their residents are in contact with people they know and trust. She also wanted to impress the importance of knowing the value of your services and being a reliable company that is interested in other businesses. Congratulations to the team at Silver Creek Assisted Living for being a 2018 Top Rated Local award winner, and thank you so much, Renee, for sharing your words of wisdom with our team! 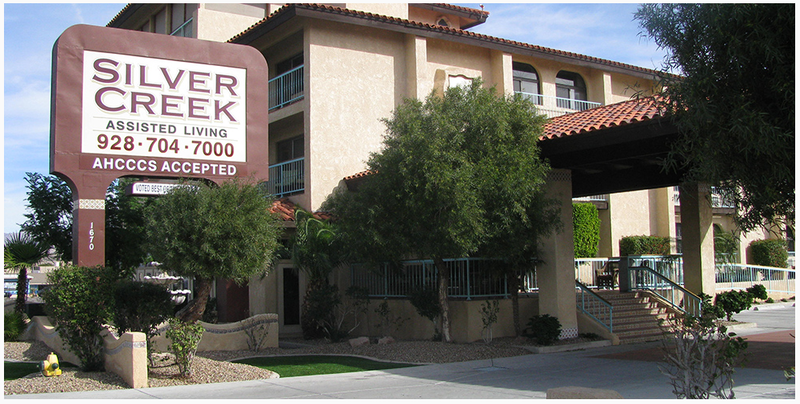 If you or your loved one is looking for an assisted living community in Bullhead City, we highly recommend that you check out Silver Creek Assisted Living. Visit their website today. 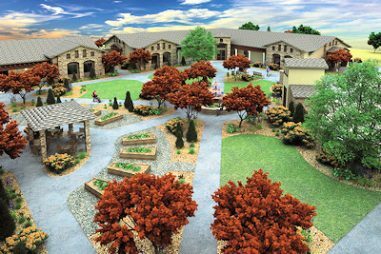 Top Rated Local® is pleased to announce that, due to their incredible Rating Score™ of 90.76, Holly Creek Retirement Community is an award-winning retirement living community in Colorado. With a commitment to people, not profits, Holly Creek Retirement Community is a great place to retire for anyone looking for the right retirement community in Centennial. 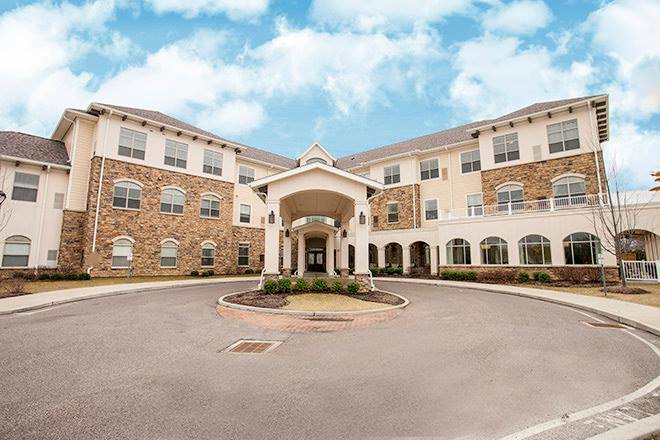 Holly Creek offers independent retirement living and multiple levels of care, from assisted living to skilled nursing and dementia care, giving them the ability to care for residents with varying health needs. Of the many retirement communities in Centennial offering a full continuum of care, how has Holly Creek Retirement managed to earn so many glowing reviews and such a wonderful reputation? We sat down with Community Relations Consultant, Chuck Montera, to find out. What is your secret to such a strong online reputation? The key to our success in developing a strong online reputation has been media relations. We do a lot of community outreach, including to Public Radio, local TV stations and the Denver Post, including writing one to two stories on YourHub.com every month. We work with G5, who does digital advertising, and we have a strong presence on Twitter and Facebook. What makes you different? In other words, if you had one minute to sell somebody on why they should choose you, what would you say? 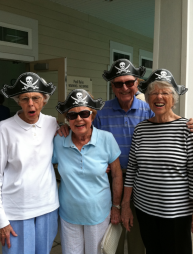 Our community isn’t restrictive; it’s a free community that encourages free spirits of all ages to be themselves. We’ve managed to create the kind of environment that few other retirement communities have managed, the kind of environment were new residents enjoy the same kind of excitement that freshmen experience the first time they go off to college. Why do you do what you do? In other words, what is your mission and/or how do you attempt to make the world a better place? With the firm belief that you are never too old to do anything you want to do, we see potential in each and every one of our residents. Our goal is to help our residents live their lives to the fullest, and we offer a wide variety of programs to entertain our residents, encourage partnerships and friendships, and keep them active and engaged. For example, we have a knitting group that knits nests for recovering birds. We partner with local schools, and we make wooden toy cars that we give to children all over the world. 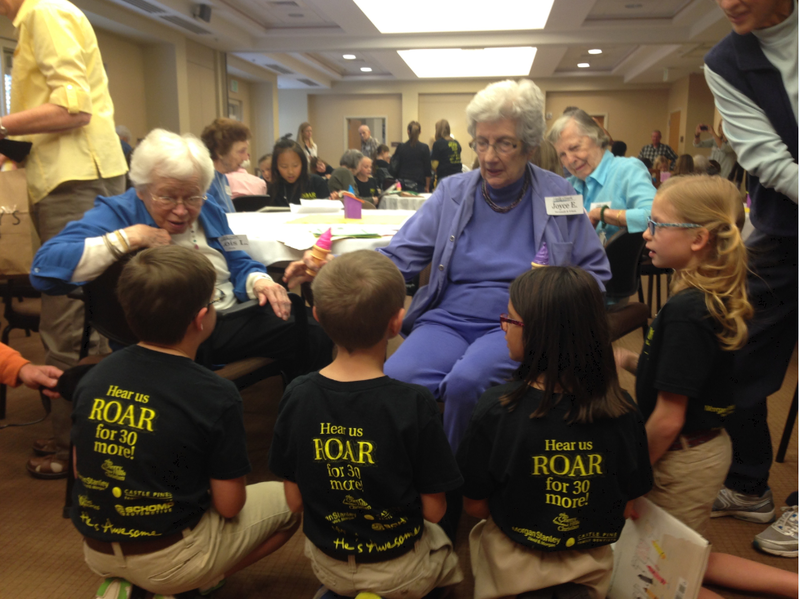 We also have a pen pal program, which allows our residents to work with young kids. We even have a meditation room. Outside of building a strong online reputation, what else do you do to market and grow your business? We are active in most traditional forms of advertising, including digital, print, direct mail, radio (we have our own radio station) and television. To make our ads and marketing strategies as impactful as possible, we always try to use images that convey feelings and emotions. What advice do you have for other businesses trying to build a strong online reputation and grow their business? In order to build a strong online reputation, you need to be active on a platform that can help you develop that reputation, like Twitter, Facebook or Instagram. It’s not enough just to have a Facebook or Instagram account; though, you also have to post interesting, engaging content on a regular basis. You should also try to share the most impactful stories coming out of your community, including stories you’ve found from interviewing and having conversations with your residents. From all of us at Top Rated Local, we’d like to thank Chuck for taking the time to sit down with us and share his wisdom, as well as to congratulate the entire team at Holly Creek Retirement Community for being a 2018 Top Rated Local award winner. Would you like to learn more about Holly Creek Retirement Community? If so, visit their website today. At Top Rated Local®, we’re proud to announce that Landmark Memory Care is 2018’s award-winning assisted living center in Colorado. Consumers who are looking for an assisted living center that truly cares should look no further than Landmark Memory Care. Every aspect of the Landmark experience has been designed for the safety, comfort, encouragement and socialization of the residents, and they have a reputation for providing exceptional care that can’t be beat. So how does Landmark Memory Care do it? We talked with Owner Deborah Hanson to find out. We’ve worked with Java Marketing, and they’ve instructed me on the importance of getting online reviews. I always make it a point to approach visiting families and people who have come to tour our facility to ask them to leave us a positive review. We are a family-owned and -operated assisted living center with a heart for people suffering from dementia and Alzheimer’s, as well as their families. We’ve worked hard to create an environment that’s home to both our residents and their families. As someone with a family history of Alzheimer’s and dementia, I wanted to create the kind of community that I would want to live in if necessary, a place where residents can enjoy the privacy of their own bedroom and bathroom. At the end of the day, it’s our wonderful care that makes the biggest difference for the growth of our business. Because of the great care we provide, we can count on recommendations from physicians and other community resources to help us continue growing. The biggest key is consistency. As a family company, we don’t have a marketer. We post frequently on social media to let people know who we are, and we’re able to ask our clients and their families to give us a good ranking based on the excellent care we provide and the unique, home-like environment we’ve created. From all of us at Top Rated Local, we’d like to congratulate Deborah Hanson and the team at Landmark Memory Care for their amazing contributions to their community and on becoming a Top Rated Local Award Winner!